Room Configuration: Bedrooms & Cottage. 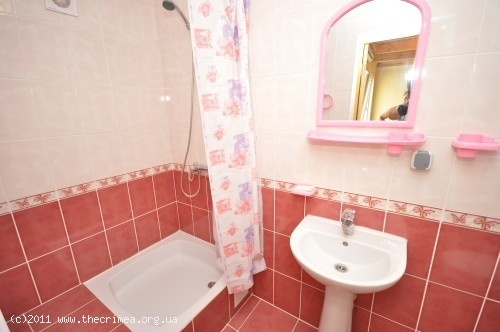 Whether you are coming to Popovka to partake in the world famous Kazantip festival, or just want to enjoy the beauty of the Crimean beaches, our House on Sunny Street is the perfect choice. 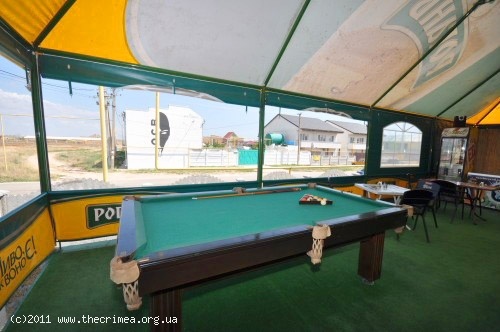 You can be close to everything Popovka has to offer but still have a place to call you own and be with your friends new and old. 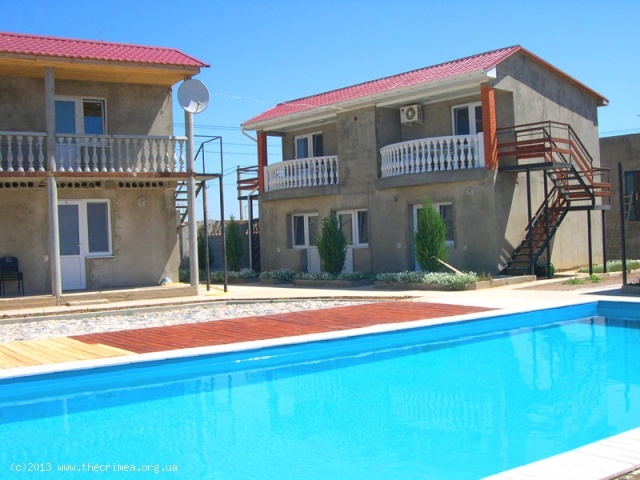 The house is located just 550 meters from both the pristine beaches offering activities like boating, windsurfing and jet skis, but also the amazing Kazantip festival as well. 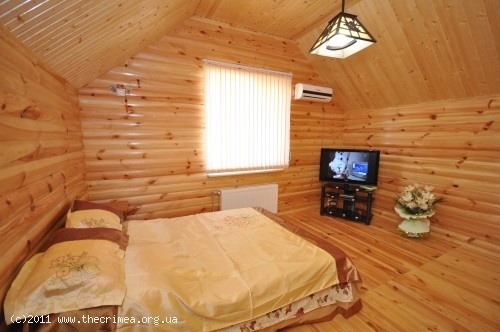 The European style house offers all the comforts of home in the simple and chic accommodations. The house can accommodate up to 30 people at full capacity and has 9 total rooms for rent. 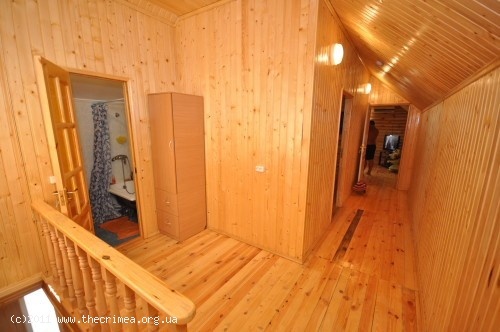 There are several different types of triples and quad rooms and even a gorgeous 2 room cottage all done in wood. You will be pleasantly surprised with what the house has to offer in terms of comfort. 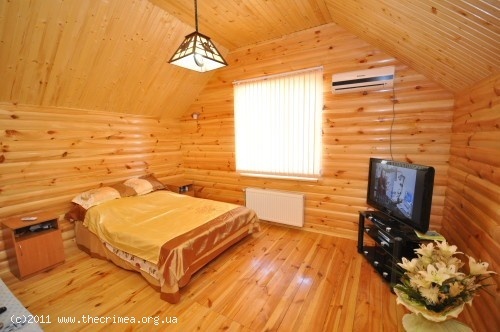 All rooms are tastefully decorated, clean and comfy. Full room descriptions and amenities are listed below. 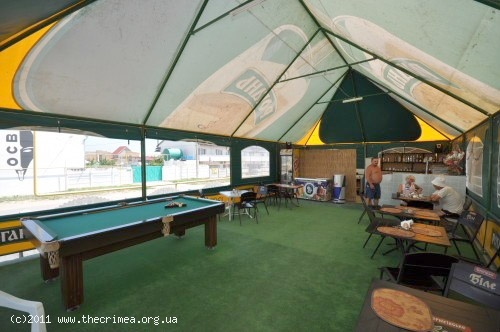 There is also a swimming pool, great little cafe, bar, game room for all guests to enjoy. You can grab a beer and play some pool and enjoy a full range of snacks and even full board is available at the cafe as well. Sunny street house has everything you will need while visiting us here, so you can just enjoy every minute. • Triple rooms on the 1st storey, 12,5 sq. m. Room Amenities: private shower & WC, fan, satellite. 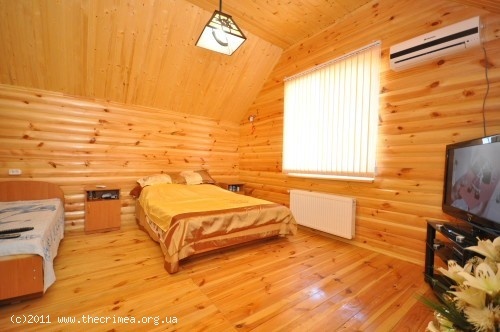 Each room is appointed with three single beds. Price: $115 per night. • Triple rooms on the 2nd storey, 17,5 sq. 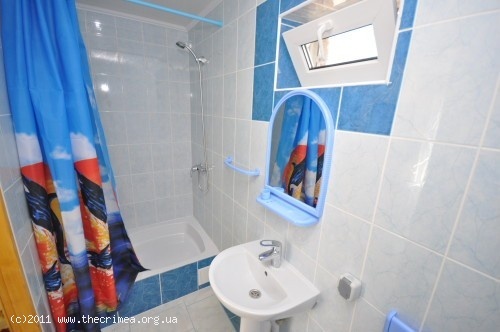 m. Room Amenities: private shower & WC, air-conditioning, satellite, balcony. 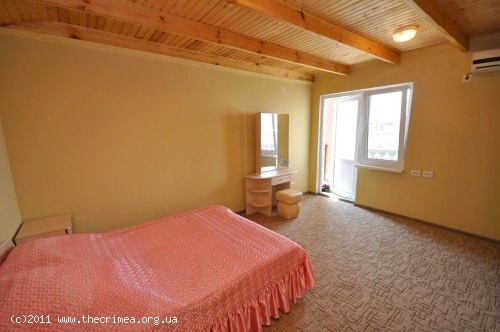 Each room is appointed with one double bed and one single one. Max. occupancy: 3 people. Price: $150 per night. • Quad rooms. 19 sq. m. Room Amenities: private shower & WC, air-conditioning, satellite. 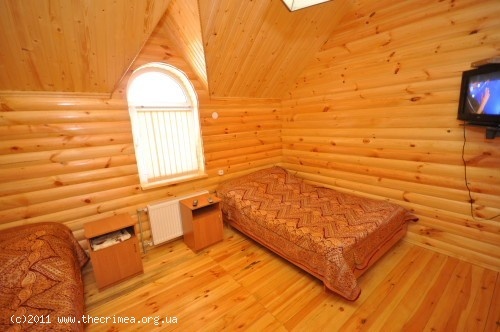 Each room is appointed with four single beds. Price: $160 per night. 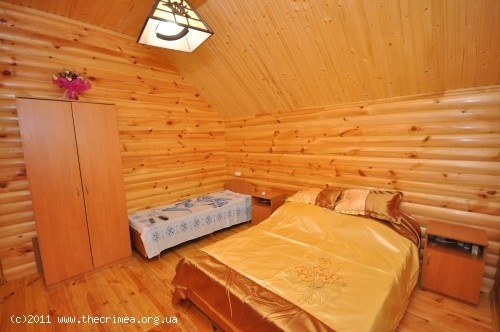 • 2-room wooden-style cottage, 50 sq.meters. Room Amenities: private shower & WC, air-conditioning, fridge, satellite, balcony, tea utensils. 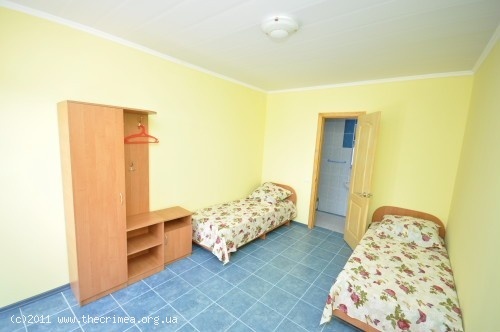 Each room is appointed with one double bed and one single bed. Max. occupancy: 6 people. Price: $300 per night. Room cleaning and change of bed linen available on request. Free parking place for your car.